Last version: V1.2/ 22th May 2017. The Fxs included in the plug in provides an ambiant effect that evolves over time and produces unexpected musical harmonics. M4L Echo Rasta Box includes two modules: the Dub Siren plugin along with an extra separate FX plug in to treat any external sounds. 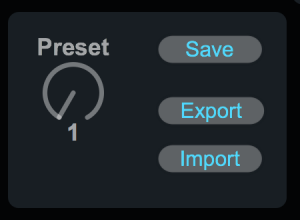 32 presets can be saved into the memory of the plug ins (and consequently in your ableton live project). 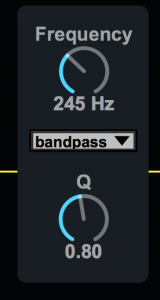 You can share your sounds with your friends ! A preset file is included to start playing & have fun (16 presets, M4L EchoRastaBoxSotrage.json file). 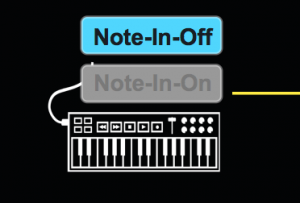 The plug in can react to midi inputs notes accordingly making the Dub Siren change in tones but also act as a SYNTH ! 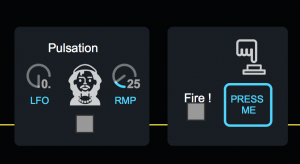 A Fire/Flam function is also available to create stutter effects. a Tape Echo delay (the famous Roland space echo) is available in the plug in. M4L Echo Rasta Box comes also with an extra plugin, the FXs version. 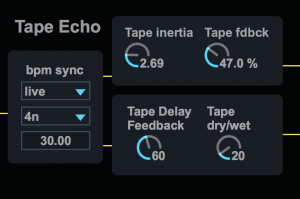 You can enter any audio input you like and play with the Space Echo, Filters, etc. 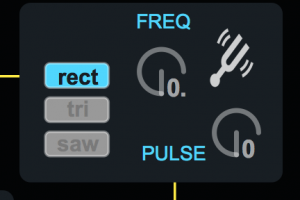 All the parameters are mappable on any midi control surface. The plug in in is well suited with Push 1 & 2 (Parameters are automatically mapped). A documentation will be provided soon. Note that we tend to avoid to produce big documentation, we prefer that the user interface speaks by itself ! You can also check our videos tutorials meanwhile. 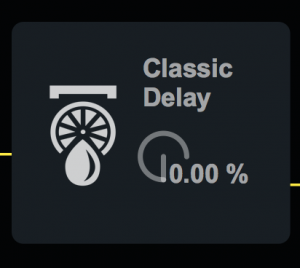 No free version is yet available but this plug ins has been inspired by the nice Dub Siren plug in (author: Audio Lemon, licence CC-BY-SA) & the Dub Scrolls. You can check their works & download their versions (lighter versions compared the M4L Echo Rasta Box).